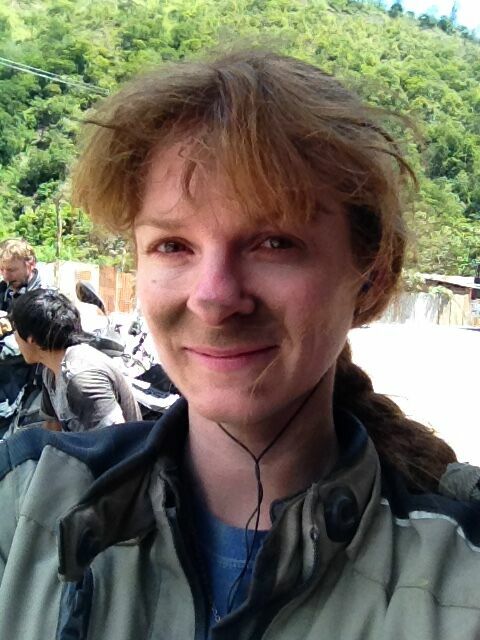 Getting out of La Paz meant getting well and truly stuck in it first. Busy with balminess, I hovered over and hit my horn like I was signalling Morse code: ‘Get-me-out-of-here!’ A veritable racket ensued. Sandwiched between terrorizing Toyota Town-Aces and threatening Hi-Aces, my battle-scarred panniers got scraped and scratched like nobody’s business. A fit of fury stuck halfway down my throat, like a sneeze that refused to come. 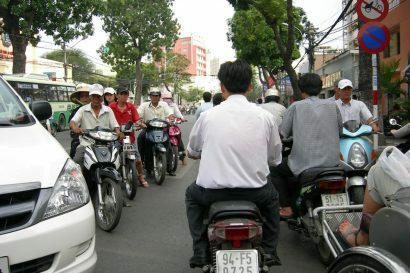 I fidgeted like a toad leg frying in hot oil—the traffic was maddening as it was toilsome. I might as well have been treading in a flood of biting ants. Mind unravelling to become somewhat discombobulated, I gritted my teeth and remained undeterred, at least outwardly. Having escaped the clutches of La Paz’s stinging traffic, through a smog-blackened face my eyes darted over rolling swells of green countryside on an undulating road. I smiled every mile past the traditional Aymará villages to the glacier-capped, brilliant white snowy peaks of the Cordillera Real. And then our eyes gravitated like magnets on the singularity of Lake Titicaca, its energy and sheer gravity drawing us in. Crystalline, gemlike water sparkled in a clear, altiplano light against the landscape’s patchwork quilt of a hundred greens. A kaleidoscope of special, my radar registered. No sooner had we kicked the side-stands down at San Pedro de Tiquina and the pair of us dived into the local catch. What felt like consumed our head weight in chicha morada (the natural juice from purple corn) and and trucha—trout, was a stomach-gratifying, taste sensation. That is, until the signal hit my brain I was more than full on fish. But what a welcomed interruption from South America’s asados of meat and Malbec. Hopping across the water on a makeshift craft that resembled a rickety raft more than a sturdy boat was a rigmarole in itself, negotiating two leaden bikes aboard. The boat cleaved gently through turquoise waters until we spilled onto the shoreline. There we continued on a snaking ribbon of highway, contouring the hillside all the way to the hem of Copacabana—affording one of the best views of the vast expanse of blue. Nestled between two hills and perched on the southern shore of the lake, it bestowed biking bliss especially after the morning’s manic encounter with La Paz’s untrained drivers. The world’s highest passable body of water, Lake Titicaca is gar-gantuan. It goes on and on, way beyond the eye can see. A watery world without end. Shimmering between Peru and Bolivia, the 8,400 square kilometre mass of freshwater is more akin to an ocean than a lake. It’s no wonder history reveals how Inca legends and Andean beliefs came to credit Lake Titicaca with the birthplace of their civilization and the sun, connecting it to mystical events. There was a discernibly calm, soothing energy about the place. Engulfed in Andean countryside dotted with pueblos (villages), high-altitude hamlets and ruins all linked by the ancient culture, we sailed past terrace-lined foothills and mountainside. How had people once worked the land so industriously, so uniformly in linear lines—so high up? 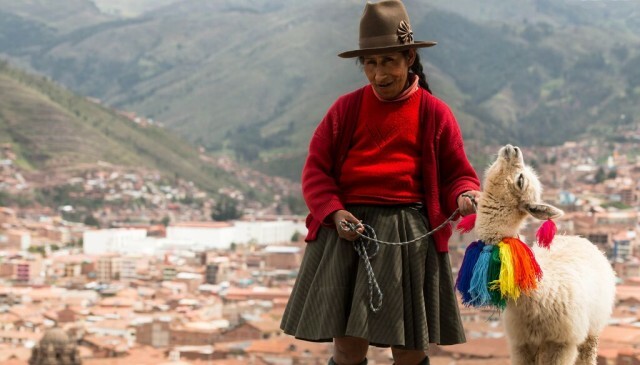 With women wearing petticoats and moccasins made from used tyres, still working the land by hand; it felt Peruvian all at once, rich in its Inca heritage. Utterly unique is about the only way in which the floating reed islands on Lake Titicaca can be expressed. Not least because they’ve been constructed from nothing; created entirely with the buoyant totora reeds that grow abundantly in the shallows of the lake. 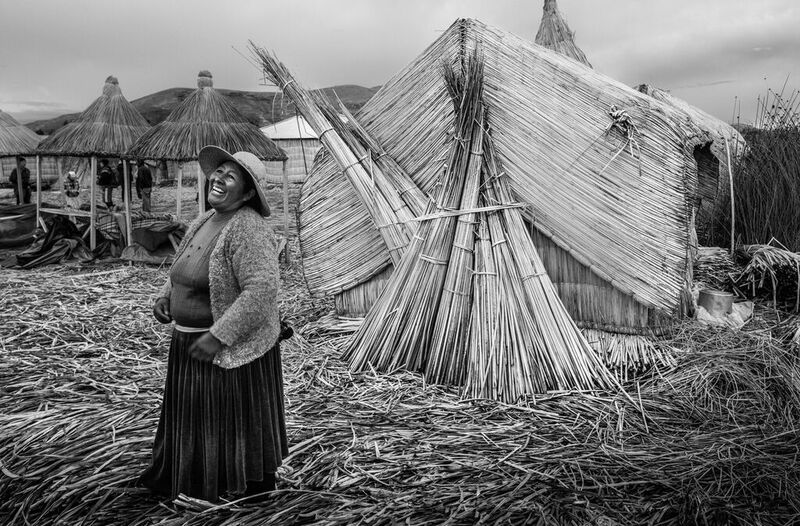 Just seven kilometres east of Puno wherein lies the Aymará speaking Uros islanders, the secluded lives of whom are intertwined with the reeds. Edible in part, they also build their homes, transport, arts and whimsical crafts from the versatile material. Stepping foot on one of the islands was as soft and springy as a freshly baked cake. 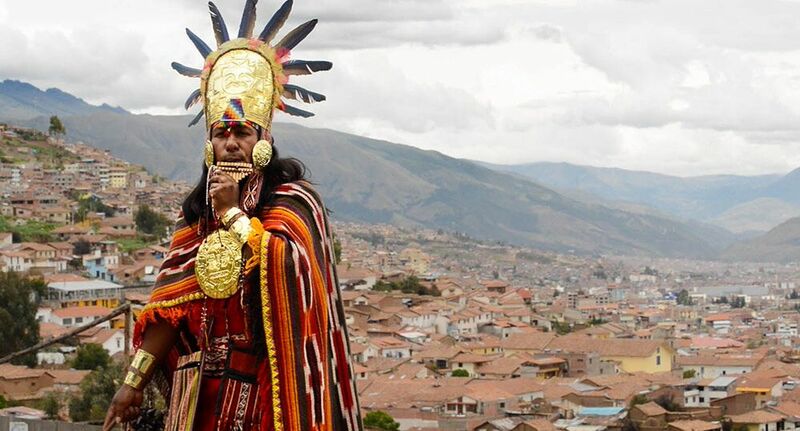 Their unusual floating existence roots back to an attempt to avoid and isolate themselves from the aggressive Collas and overarching Incas tribes. A peaceful people. I was greeted by five families residing on an island no longer in diameter than 100 feet—all of whom displayed boundless personality—despite their close proximity to each other. An authentic set of folkloric songs were sung in dulcet tones of Aymará as well as a distant version of English. 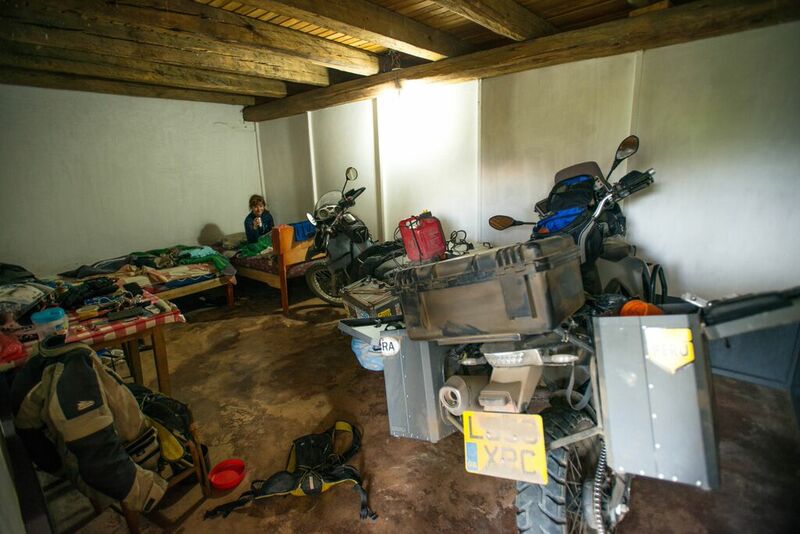 No trappings of the modern western world, no electricity and no infrastructure. Just self-governed community spirit, sustainably living off the land and surviving at the helping hands of everyone. In such a contemporary age, I enjoyed seeing this time-honoured way of living for myself. We were encouraged to buy their handmade goods but these folks needed to stay afloat like anyone else. Peru told me in ten minutes it would rank strongly in my favourite South American countries to date. Its cities, small towns and settlement villages all seem to boast rough-hewn cobblestoned, often steep narrow streets, lined by plazas built with meticulously crafted masonry. And a bright, feel-safe ambiance pervades throughout. 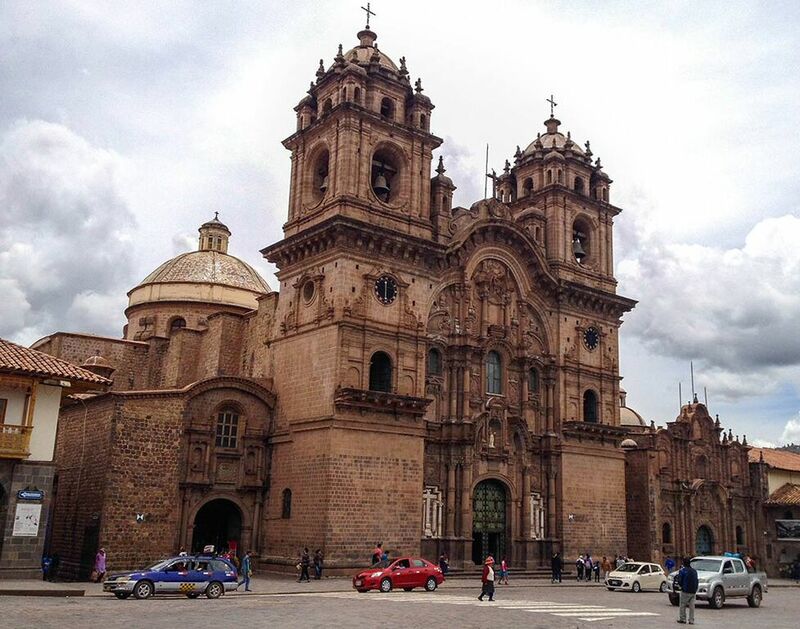 Peru is a superb collision of chaotic and modern with slow and traditional. I cared little and less that some places are packed with massage hawkers, a glut of tourist ware-touting locals hunting you like prey amid a minefield of tour operators, the country is throbbing with life. It’s a place you can lose yourself to its spectacular extremes of: ancient culture and its modern day residents, some still clad in traditional dress; the undisturbed Andean highlands—home to sacred sea-sized lakes—sit dramatically against the bio-diverse Amazonian lowlands. It is foremost ‘vista fantastic’ with no shortage of intriguing and starkly contrasting vantage points, set to change every conception and paradigm around every corner.